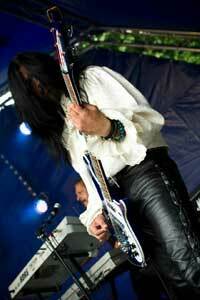 I've been playing bass since 1983 and been in various bands almost continuously since then. My styles include Rock, Alternative, Indie, Grunge and Heavy Metal. I currently play in Samurai (information on this band can be found on the bands page), but I am always willing to take part in new projects. My influences include Foo Fighters, RATM, Audioslave, Rush, Iron Maiden, Kaiser Chiefs, Killers, Yes, Deep Purple and Velvet Revolver to name but a few. So if you need a bass player in the Berkshire area (long or short term) drop me a line.